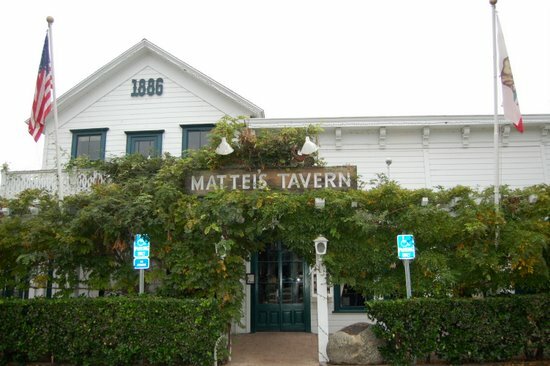 As a Santa Ynez Valley native, I’ve been eating at Mattei’s Tavern for my entire life. It’s gone through many versions as a restaurant, and had many owners and chefs. At one point it was a Chart House, with a memorably terrific salad bar. The most recent iteration, Brother’s at Mattei’s Tavern, left a very high standard to live up to. By the way, you can still find the Brothers Nichols and their fine cuisine at Sides Hardware and Shoes just down the street in Los Olivos, and I would recommend you take your business there as opposed to the “new” Mattei’s Tavern. Brothers will also be opening up the Red Barn in Santa Ynez come November, and that should be a welcome addition to the local steakhouse scene. Unfortunately, the Hitching Post has fallen off the preferred local dining list, since it’s constantly packed with tourists having their own Sideways experience. The moment we walked in the front door at Matteis this Saturday night, I knew things had changed. The bar/foyer area was once my favorite part of the restaurant, especially in the winter when the fireplace is burning. It’s now been revamped in such a way that feels a bit like a processing area. The day we were there, two weeks after opening, it still reeked of fresh green paint, which was quite unpleasant. The bench seating along the right wall is far removed from the cozy feel that this room always had in the past. Gone are the paintings of the Matteis, by their son, noted portrait painter Clarence Mattei, that once hung over the fireplace. Also absent was the big host’s podium that used to be directly to the right of the front door. The room was lighter and brighter, but it felt too bright to me. Though the restaurant was less than half full, we were seated at a table directly across from the kitchen, basically alongside the restaurant’s main thoroughfare. The temperature was extremely warm due to being so close to the stoves. With heavy foot traffic of the staff passing to and from the kitchen, and the warmth, we knew we would not be able to enjoy our meal at this table and had to ask to be moved. The staff was happy to accommodate our request and we were reseated in a table on the enclosed porch, formerly known as the wicker room. Gone are the comfy wicker chairs that were once here, replaced by modern cloth chairs that weren’t all that comfortable. I also noted the lack of table cloths – it felt a bit too casual without them. The wine list is fabulous. 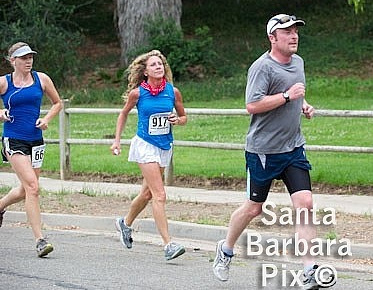 I would expect nothing less from a restaurant owned by Charles Banks, former owner of Screaming Eagle, and now involved in many winery ventures including Jonata on the Central Coast, Sandhi Wines and Mayacamas Vineyards. There are options for every price point. I don’t know that they’ll be moving many $1,400 bottles of Bordeaux, but it’s certainly possible if they attract the kind of clientele that Mr. Banks will hope to have come to his boutique hotel. That will be developed on the Mattei’s property in the coming months/years, so the historic character of this place will be quite altered in the very near future. You can read more about the development planned for the Inn at Mattei’s Tavern in this Lompoc Record article. You can read more about the meal we had and why we were so disappointed in the food in my review on Yelp. Suffice to say it was disappointing. You might argue that we came in with a bias and were predisposed to dislike everything, but I would argue that I was very excited to visit somewhere that is so important to me. I hoped we’d have an absolutely amazing meal and be telling all our friends how great it was. In the past, I have been lucky enough to have not just great meals at Mattei’s, but made memories. At the price point now, it would have to be an extremely special occasion for me to ever dine there in the future. Based on this poor first experience, I don’t think I’ll ever go back. Even before our appetizers arrived we struck up a conversation with an older local couple one table over from ours. The woman said: “I hope you have better luck with your food than we did.” With a look of disappointment, she told me how sad she would be to tell her 10 children that the restaurant they had enjoyed so much over the years wouldn’t be somewhere they’d be able to eat as a family anymore. I agreed, and unfortunately I suspect many other locals will as well. I know many of us had hoped that we’d still be able to enjoy this restaurant and historic space as we had in the past. Alas.